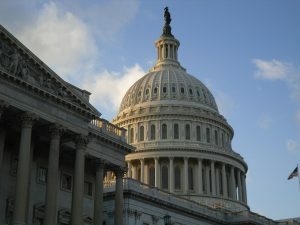 These are challenging times for policy; intense partisan and ideological polarization pervades the land, serving to confound the policies that should connect citizens and shaking confidence in the representatives elected to craft them. A recent poll found that 85 percent of Americans disapprove of the job Congress is doing; two-in-ten people think Congress fails to pay attention to constituents or Americans as a whole and listens only to lobbyists, donors, and the wealthy (Kellman and Swanson, Feb. 26, 2018). Myriad controversies envelop the election and presidency of Donald Trump. They are compounded by concerns about Republicans in Congress sent to, in part, uphold the branch’s checks-and-balances obligations. Opponents, including voters and elected Democratic officials, struggle to respond effectively and appropriately. Difficult, turbulent times seemingly demand both immediate action and sustained introspection. They may also counsel re-examination of first principles. We presume herein that policies matter, that analysis and discussion of policy and all matters attendant can be informative and valuable (see, Policy Matters, June 3, 2014). If policies matter, the institutions, methods, processes, procedures, and participants matter as well; so too the foundations—the ideas, concepts, and understandings—upon which policies are developed (Thomas 2014). Here, then, is the edge of that vast, deep well known as political thought; a need to proceed with caution in this limited format, these troubled times. Keeping all of it in mind, this article begins a series of explorations in the topic of political thought, generally, and with a more specific goal regarding legislation and the legislative process. Among the many difficulties is where to begin. Given the current unsettled situation, a line written by James Madison in Federalist No. 42 beckons. This, then, will be the first drink, pulled predominantly from the words of James Madison, the first Speaker of the House of Representatives and the fourth President of the United States. His research, concepts, theories, and thoughts were the central force in the development of the Constitution; a key contributor to its ratification through his work with Alexander Hamilton in The Federalist Papers, Madison also initiated the first partisan conflict in the new nation (Feldman 2017). His work provides an ideal starting point in no small part because the concept of a “mild voice of reason” in the affairs of self-government and policy is attractive but proves elusive, even for the author of the words. The writings of Madison and Hamilton inform and shape our understanding of our system of government to this day. They mined many sources of political thought, especially that of the Enlightenment. They analyzed the lessons of failed governments throughout history, mixed in their own ideas and experiences, and put into practice a system of self-government intended as “a republican remedy for the diseases most incident to republican government” (Madison, Federalist No. 10). Their argument for the Constitution they helped write was a mixture of high ideals and blunt realities. For example, Madison writes that government is “the greatest of all reflections of human nature” as the means to obtain justice and “civil society” but acknowledges that if “men were angels, no government would be necessary” (Madison, Federalist No. 51). Further, he declared that “the safety and happiness of society are the objects at which all political institutions aim and to which all such institutions must be sacrificed” (Madison, Federalist No. 43). Hamilton added that government “implies the power of making laws,” made necessary because “the passions of man will not conform to the dictates of reason and justice without constraint” (Hamilton, Federalist No. 25). These contradictions and paradoxes are common threads running through the founding arguments because they are inextricable aspects of humanity. They must be addressed by any system of self-government if it is to have any hope of success. A government “administered by men over men” must manage to “control the governed,” but at the same time “control itself” (Madison, Federalist No. 51). Fundamental to this is the primacy of the rule of law in society; laws must apply to everyone, the governors and the governed alike. Those in government “can make no law which will not have its full operation on themselves and their friends, as well as on the great mass of society,” which is essential to restrain them from enacting “oppressive measures” (Madison, Federalist No. 57). Madison added that this truth “has always been deemed one of the strongest bonds by which human policy can connect the rulers and the people together” and “without which every government degenerates into tyranny” (Madison, Federalist No. 57). Adherence to, and the supremacy of, the rule of law is fundamental. To safeguard it, Madison and the framers designed a system of government “so that reason, not passion, would guide the nation’s political judgment” (Feldman 2017, at 347). Madison contended that only the reason “of the public” should “control and regulate the government” while the public’s “passions ought to be controlled and regulated by the government” (Madison, Federalist No. 49). Reason should control because of the immense power being entrusted, and “in all cases where power is to be conferred, the point first to be decided is whether such a power be necessary to the public good” and, if a power is necessary to the public good, the system of government must “guard as effectually as possible against a perversion of the power to the public detriment” (Madison, Federalist No. 41). The power to govern, however, also requires the power to control the government. Hamilton wrote “there is in the nature of sovereign power an impatience of control” and resistance to “all external attempts to restrain or direct its operations” (Hamilton, Federalist No. 25). This, he added, “has its origin in the love of power” and that “[p]ower controlled or abridged is almost always the rival and enemy of that power by which it is controlled or abridged” (Hamilton, Federalist No. 25). Accordingly, the drafters of the Constitution had taken precautions, recognizing that a system designed to promote reason is vital because it permits the settling of disputes and disagreement through peaceful, productive, and non-destructive means. Arguably, it is the specific design of the Constitutional government that was Madison’s “most brilliant and original accomplishment” because it pulled immense powers directly from the people into a federal-republican hybrid “form of government that operated on the individual citizen, not on the states” (Feldman 2017, at 419). It then broke that power into separate, competing branches of government. This design was based on the “political truth . . . stamped with the authority of  enlightened patrons of liberty” that the “accumulation of all powers, legislative, executive, and judiciary, in the same hands . . . may justly be pronounced the very definition of tyranny” (Madison, Federalist No. 47). Hamilton proclaimed the importance of America’s “wholly new discoveries” in governance, namely the “regular distribution of power” among separate branches of government that included “the introduction of legislative balances and checks” through “representation of the people in the legislature by deputies of their own election” (Hamilton, Federalist No. 9). “Ambition must be made to counteract ambition” within the system by providing each branch “the necessary constitutional means and personal motives to resist encroachments of the others” in order to provide “great security against a gradual concentration of the several powers” of the government; recognition that if “angels were to govern men, neither external nor internal controls on government would be necessary” (Madison, Federalist No. 51). Particular concern was paid to the legislative branch, dividing it into two chambers “with different modes of election and different principles of action” (Madison, Federalist No. 51). If it were to become “inspired by a supposed influence over the people with an intrepid confidence in its own strength” and consumed by passions rather than reason, however, he counseled that “the people ought to indulge all their jealousy and exhaust all their precautions” rather than “to trust these parchment barriers against the encroaching spirit of power” (Madison, Federalist No. 48). Thus, periodic and frequent elections provide the last line of defense for liberty and against tyranny. Via frequent elections, “the private interest of every individual may be a sentinel over the public rights” and “distribution of the supreme powers” (Madison, Federalist No. 51). Therefore, “not only that all power should be derived from the people” but that the people entrusted with that power “should be kept in dependence” of the citizens over whom they have power by “a short duration of their appointments” and by power that “should be placed not in a few, but a number of hands” (Madison, Federalist No. 37). At first glance, Madison’s vision of the “mild voice of reason” in self-government appears unrealistic bordering on naïve. But this view may be myopic, narrowed too much by the concerns of the day. For one, both Madison and Hamilton were consumed by concerns that factions are destructive to republican government (Hamilton, Federalist No.9; Madison, Federalist No. 10). Factions will exist in society and from time to time they are likely to gain control, including over the government. The framers created “parchment barriers” in the design of the system but ultimately it was up to the voters to control and, when necessary, defeat the power and force of faction. If it is to work in actuality and not simply as a theory, Madison’s “mild voice of reason” must therefore replace violent armed conflict as the method for controlling and defeating faction. First, they designed a system with internal barriers to the accumulation of power by factions by breaking apart the powers among co-equal branches that could check and balance each other. Competition among the branches would help moderate outcomes and protect the rights of the governed. These internal barriers could not prevent factions and the dangers they posed entirely. Thus, should a faction take hold, gain power and overwhelm the “parchment barriers,” voters must step forward and defeat the faction during the frequent, periodic elections. This is the ultimate safeguard against a breakdown in self-government; the “mild voice of reason” in place of armed conflict. Expose the faction and the impacts on society through disagreements in Congress and among the branches with voters rendering ultimate verdict every two years. It is the very foundation of self-government. The citizens governed are the same citizens who create, control, and correct the government. The institutions and processes designed to channel disagreement are the means to productive, non-violent ends. James Madison, Alexander Hamilton, and John Jay, The Federalist Papers, ed. Isaac Kramnick (Penguin Books London, England 1987). Thomas, George. “Political Thought and Political Development.” American Political Thought 3.1 (2014): 114-125.